If you have children, then the following end of school day conversation will resonate true with you for certain. (followed by silence and an intense focus on an iPhone screen). Parent: How was football practice today? (followed by increasing the TV volume to watch SportsCenter). I believe you get the picture here. The word “Good” is not an excellent descriptor absent any additional context or better yet a set of metrics. In the scenario above, the issue is not that critical because metrics are guaranteed to follow in the form of a report card or the outcome of next weekend’s game. But in the arena of Sales Onboarding, lack of metrics and an inability to clearly define exactly what “good” means can be a very serious challenge to your business. 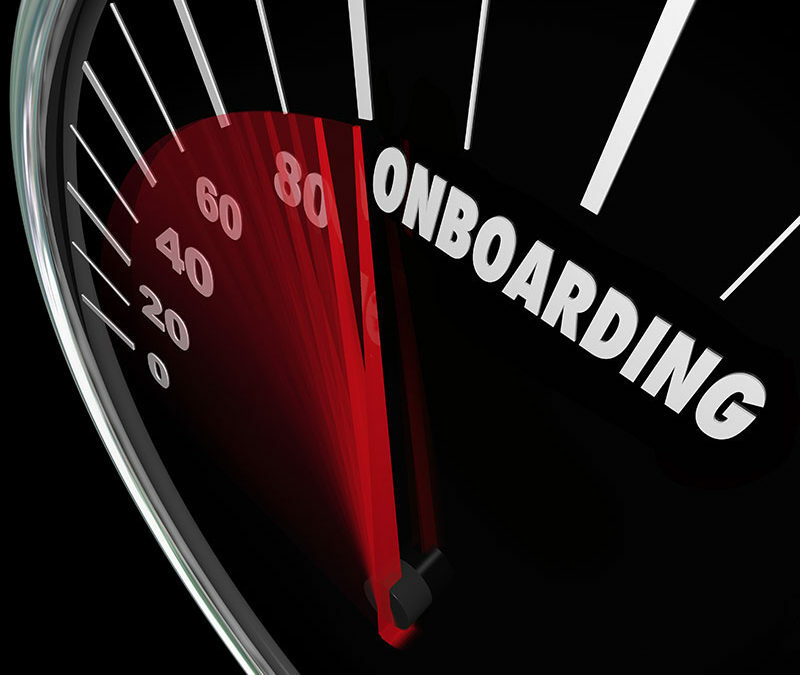 Onboarding a recent sales hire is a significant investment for any organization as represented across two major categories, Sourcing and then Training. According to the Harvard Business Review, sourcing and onboarding costs for a telesales employee can range from $75,000 to $90,000, while other sales positions can cost a company as much as $300,000. Moreover, these figures don’t reflect the lost sales while a replacement is found and trained. In sectors like medical devices, big capital equipment, and many professional services, including these opportunity costs can push turnover cost to $1 million or more per event.1 We can debate the numbers and how they were calculated but the implication is clear. Whether it’s $100K or $1M, onboarding a sales representative represents an actual cost to the organization and an investment for which metrics must be assigned and an ROI calculated. The question then becomes what metrics and how do you measure “Good”. Let’s discuss the merits of a few options. Time to First Order: This metric would seem to make sense. We hire sales reps to sell, so securing that first order must clearly be a good sign for a new sales representative. If they can bring in an order, then they must be fully onboarded right? Not so fast I would argue. How do you account for the state of the territory that the new representative assumes upon hire? Did the new representative take the first order from Stage 1 Qualification all the way through each stage of the sales cycle to Closed / Won or was the order an existing pipeline opportunity or a bluebird? Without combining the first order metric with an analysis of data from the CRM system, Time to First Order should not be used as a standalone measure for a successful sales onboarding program. Time to Full Quota Achievement: Our goal for any sales representative in the organization should be full quota achievement. But even the healthiest sales organizations consider 60% of the sales force achieving full quota performance to be benchmark performance distribution. With 30-40% of the sales force planned to fall below quota on an annual basis, we do need to be careful about establishing full quota achievement as the best metric for our sales onboarding program. Additionally, exactly what constitutes the correct period for full quota achievement and how does the ramp time to 100% quota achievement correlate to the training curriculum? Is one month at 100%+ quota a success metric for the recent sales hire or should we consider a more extended timeframe such as one full fiscal quarter? And is it reasonable to expect full quota achievement before training and certification has been completed? Learning Mastery and Certification: Training is a core element of any sales onboarding program. Testing, certification and demonstration of skills and competencies should be built into all sales onboarding and training programs. Establishing a high watermark for a required percentage of the new sales hire population that successfully complete the full training curriculum would be a logical metric to include to measure the efficacy of your sales onboarding program. Sales Turnover Ratios: We have already established that sales force turnover and the associated costs of sales recruitment, hiring and training can be substantial. A stated goal of any sales onboarding program should be to produce employees fully equipped with the requisite knowledge skills and abilities to succeed in territory. Money, or more specifically large commission checks, does not solve all problems. But there is typically a high correlation between organizational tenure, quota overachievement and higher commission payouts. To the extent that your sales onboarding program produces successful sales representatives, your sales turnover rates should decline over time. Establishing a sales turnover metric pre and post implementation of the onboarding program is a reasonable metric for evaluating the ROI on your program investment. At Northpoint, we do not believe in a single stand alone metric to measure the relative success of sales onboarding programs. Rather we recommend construction of a hybrid points-based matrix that incorporates and weights a full set of the metrics outlined above. If you are interested in learning more, please contact us for an initial consultation. We are very interested in your perspective and learning more about your organizational challenges.